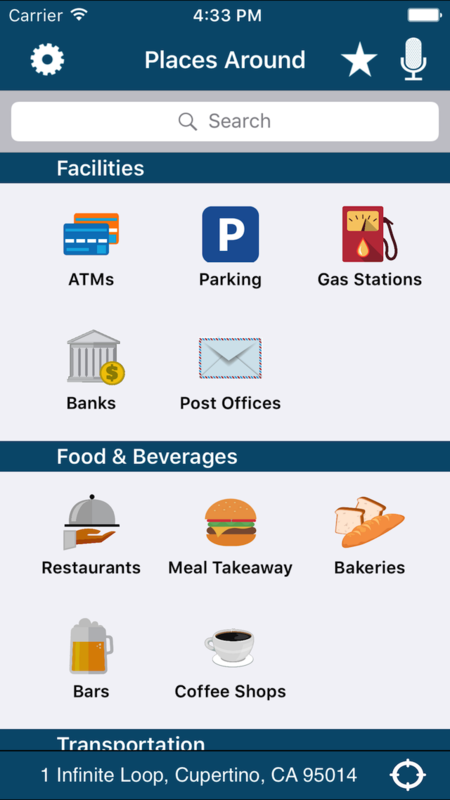 [prMac.com] Colombo, Sri Lanka - Neoappz, a mobile application development company, today is pleased to announce the release and immediate availability of Places Around 6.0, an important update to their popular travel app for iPhone and iPod touch. Places Around is a user-friendly application which allows anyone to easily find places in their surroundings. It works world wide and provides accurate and concise information. It is useful for travellers as well as for locals who want to discover new places in their neighbourhood. Place details can be easily shared using SMS, Email and Social Media. Places can be saved as favourites for easy access.Places Around is integrated with the Apple Maps App and the Google Maps App to show directions. Places Around also consists of a feature to change the search area to a location of choice. By changing the search area users' can search for places in a distant location without being there (ex. Search for Restaurants in London from Boston in USA). Version 6.0 introduces a user-friendly new design and many improvements. It is the ultimate tool for finding places and services. * Compatible with iPhone and iPod touch. Places Around 6.0 is a free upgrade for all users of the app. Places Around 6.0 is available for $1.99 USD (or equivalent amount in other currencies) exclusively on the App Store in the Travel category. There is also a free version available. For more information, please contact Shrae Attanayake. Based in Sri Lanka, Neoappz is a mobile application development company which specializes in developing applications for the iPhone and iPad mobile platforms. Copyright (C) 2017 Neoappz (Private) Limited. All Rights Reserved. Apple, the Apple logo, iPhone, iPod and iPad are registered trademarks of Apple Inc. in the U.S. and/or other countries.